A place so doomed that one of the most mysterious black metal bands named herself after this place. Just imagine you walking around this labyrinth of lava shapes and sculptures. In the gloomy Icelandic weather, to be here can be really scary. 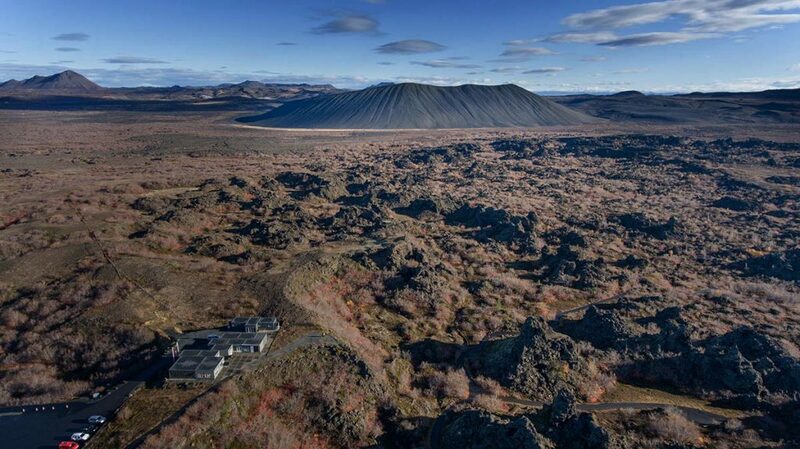 Dimmuborgir lava field is located east of lake Mývatn, close to the Hverfjall crater, which can be a distinguishing mark in the area. 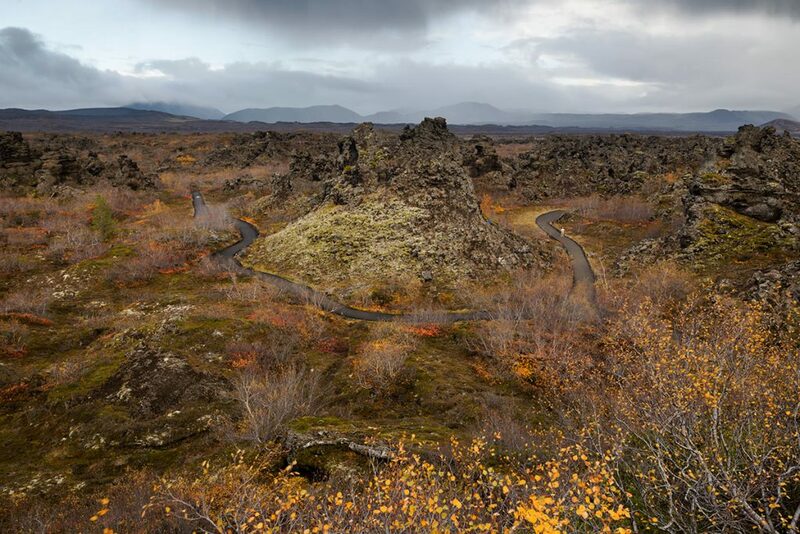 In front of the Dimmuborgir lava field there is a big parking lot, from there you just enter the labyrinth. GPS coordinates of the Dimmuborgir lava field: 65.590974, -16.911792 Take me there!